Following up from our last Argentina reflection, here is another from Will from the South American Epic. Bolivia was memorable for the dramatic mountain views surrounding La Paz, the wind-swept plains of the alti-plano and the mesmerizing allure of the salt flats. But for all its charm, Bolivia had its challenges too. Blistering winds and frigid night-time temperatures left riders and staff alike mildly stunned and dreaming of greener pastures on the other side of the border. As it turns out, our greener pastures took the form of acres and acres of vineyards. As we edged into Northern Argentina from Bolivia, we dropped in altitude and jumped in temperature. Cold Bolivian Andes melted into meandering rivers, twisting through red rocky corridors. The geography of Argentina was equally rivaled by its culture and cuisine. The distinct European influence of Argentina was pleasantly obvious as soon as we passed through the small frontier town of Chocaya. While Bolivia boasts unbelievable landscapes and a rich indigenous culture, it is not well known for its food or drink. Argentina, on the other hand, is world renowned for its wine, and because of the prevalence of European ancestry in the region, good cheese, fresh baked bread, olives and espresso are all readily available. For a group of riders who spent the last month in bush camps, eating simple fair, these small luxuries go a long way. Argentina is most praised for its Malbec and Syrah grapes – and great vintages of both are ubiquitous across the region. 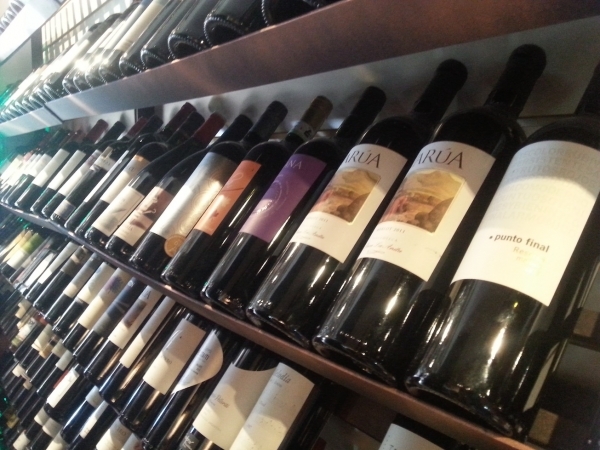 Wine plays a major role in the Argentinian economy and is a major influence on its culture as well. As we made our way from the border to the city of Salta, the small sinuous highways were lined with vineyards, stretching for kilometers to the foothills to the Andes Mountains that lay ahead. 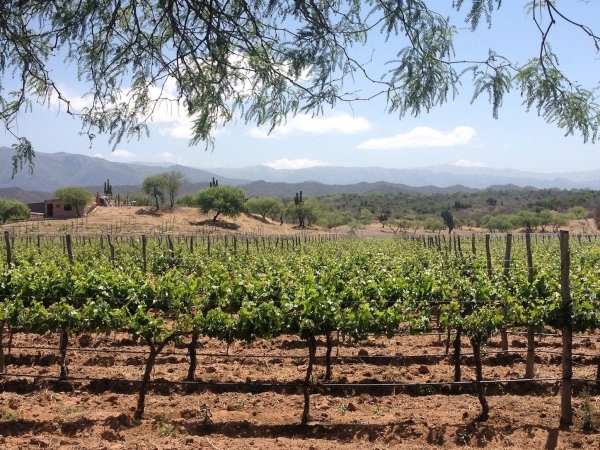 The province of Salta is lesser known on the international stage than their southern counterpart of Mendoza, so many of the wines on offer there are unavailable outside of Argentina. Many of the wine growers here produce on a small scale for bodegas that are sold and enjoyed locally. We eagerly did our part to enjoy them while passing through. As we travelled out of Salta city and into smaller wine producing towns like Cafayate and later San Juan, the richness of the local wine culture became increasingly obvious. What I’ve failed to mention so far is that delicious small batch wines (that would cost a fortune back home) can be purchased for 2-3 dollars here in Argentina. If you really want to treat yourself, spend $5 at the corner store or gas station, grab a hunk of crusty bread and cheese and you’ve got your afternoon sorted. Given that the ‘siesta’ is strictly enforced, there’s literally no better way to spend an afternoon as most shops and restaurants shutter their doors until the evening when things liven up again. Argentina has a knack for injecting class into the most unlikely locales, and at a price that can’t be beat. More than once I’ve enjoyed a great glass of wine, or an espresso at a gas station, while picking away at a plate of cured meats, olives and bread. Given the availability of delicious wines at great prices, the South American Epic has doubled as a wine sampling tour as we wind our way down from Northern Argentina to the border with Chile. It’s fair to say that panniers have hung a little heavier for these past few weeks, bottles clinking in chorus as riders arrive to camp. And compared to the cold wind swept camps of days gone by, sites in Argentina have been a little more festive, with the help of cheap, delicious, lesser-known wines, and more comfortable conditions to enjoy them in. Of course the leisurely evenings sipping wine and enjoying the comfortable temperatures won’t last forever. Soon we will be climbing back into the Andes, and struggling through wind and rain in the Patagonia. But, having had the time to take a breath and enjoy the pleasures Argentina has to offer, will make us all the more ready for the challenges ahead. 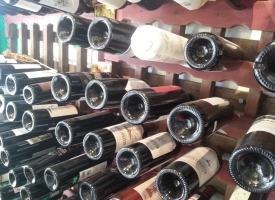 And if we’re lucky, we’ll still have a few of those bottles tucked away to celebrate a hard days ride. 0 comments for "Wine and Dine Like an Argentine"
Leave a comment for "Wine and Dine Like an Argentine" by visiting the original post on our TDA Global Cycling blog.